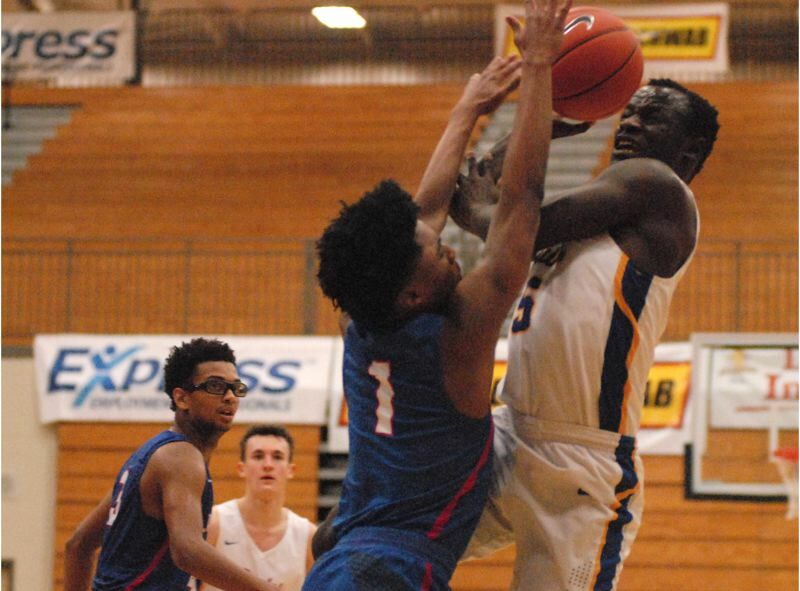 HILLSBORO — The Barlow boys basketball team made its move late in the game to overtake Churchill for a 94-85 overtime win in the consolation bracket last Thursday at the Les Schwab Invitational. The Bruins were a step behind on the scoreboard most of the way before Charles Ndayizeye got up in the air and tapped a rebound out to teammate Jaren Hunter, who was fouled while trying to make his way across halfcourt. Hunter sank two at the free-throw line to give Barlow its first lead at 67-66 with 2:40 to play. "We got some key stops. Charles and Wilson (Weber) changed the tempo of the game with their effort," Barlow coach Tom Johnson said. Barlow's next eight points would all from from the foul line. Ndayizeye drew contact while driving through the lane and sank two, and Jesse White drew a pair of fouls on the perimeter to stretch Barlow's lead to 73-68 with less than a minute to play. White hit another pair of free throws to put Barlow up three with 12.2 seconds left. 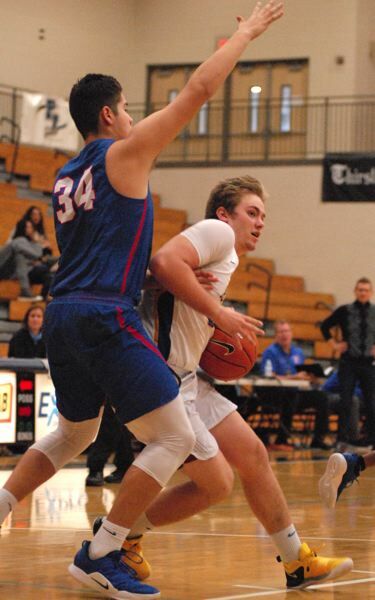 Churchill put the ball in play, and Isaiah Wallace dribbled across the top of the arc before shoveling a quick pass back to Silas Bennion, who swished a straight-on 3-pointer to send the game to overtime. Barlow took charge in the extra four minutes, putting up the first points when White hunted a hot spot on the right side and eventually popped a trey over the top of his defender. "I felt a wave of confidence and let it fly," White said. "There is not a lot of time in overtime, so you want to grab the momentum early." White finished with a game-high 39 points on 12 of 26 (.462) shooting. The Bruins continued to grow their lead when Ndayizeye stole the ball and went for the basket. Churchill's Brian Goracke flashed in from behind to block the shot, but the ball caromed off the backboard and into the hands of Barlow's Jared Vedus for an easy follow-up two. After a miss at the other end, Ndayizeye zipped a pass inside to Wilson Weber, who drew a goaltending call from close range. Barlow had scored the first nine points of overtime to take an 84-75 lead. Vedus knocked down eight consecutive free throws over the final two minutes to close out the victory. "I blocked everyone out, stepped to the line and shot the ball with confidence," Vedus said. Barlow takes on Skyview, Wash., in the consolation semifinals at 11:30 a.m. Friday at Liberty High. Churchill opened out to a 16-7 lead after seeing Evan Pia, Wallace and Goracke hit 3s on consecutive trips down the floor. Barlow responded with White beating the first-quarter horn with a deep ball over two defenders, and the Bruins tied the score early in the second when Hunter collected a loose ball and flung the ball ahead to White, who went high off the glass to avoid the last defender and finish the fast break. Vedus kept the Bruins close by hitting back-to-back 3s from the same spot on the right side. Churchill gained its biggest lead of the night after a Goracke 3 put the Lancers up 10 early in the third quarter. 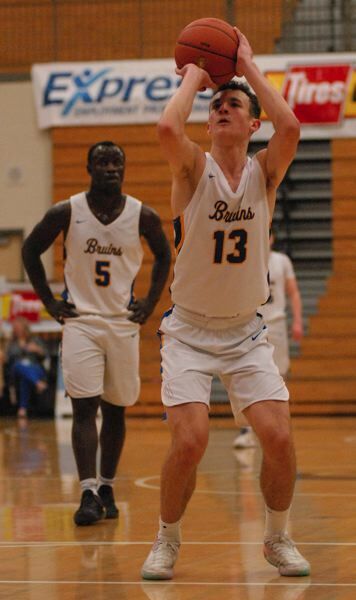 Barlow made it a one-possession game by the end of the quarter when White received a pass on the block and quickly flicked it backward over his head, off the glass and through the net. "Every time we would get close, they would hit a big 3 or drive in for a layup," Vedus said. The Bruins tied it up with 5:03 left in regulation after Hunter drew a charge, and Evan Inglesby converted the turnover into points at the free-throw line. It seemed that Barlow may be in trouble down the stretch when Inglesby hobbled off the court and spent the final eight minutes of the game at the end of the bench with ice on his ankle. "That was tough taking out one of our key players," White said. "But the rest of our guys did a good job of stepping up under pressure." Friday's primetime semifinal matchups have Sierra Canyon, Calif., going against Jefferson at 7:30 p.m., followed by Gonzaga Prep, Wash., against University School, Fla., at 9 p.m.
Churchill (85) — Silas Bennion 26, Brian Goracke 21, Isaiah Wallace 16, Evan Pia 11, Kaelan O'Neil 7, Ejim Akuma III 2, Dylan Carson 2, Morgan. Barlow (94) — Jesse White 39, Evan Inglesby 20, Jared Vedus 16, Noah Lowery 6, Wilson Weber 6, Jaren Hunter 5, Charles Ndayizeye 2, Wolcott, Nomie, Koenig. This story is slated for our Monday, Dec. 31, New Year's Eve print edition.